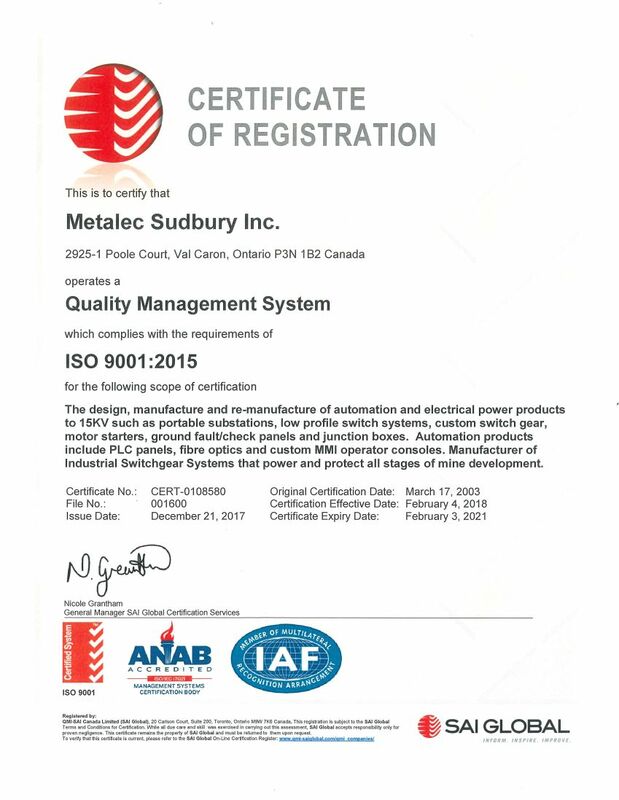 Metalec's Quality Assurance program is a key feature in maintaining our pride of workmanship and reputation. We are certified under ISO 9001-2008 which includes design engineering. We build and test to ESA/CSA, ANSI/IEEE, NEMA/UL, and EMMAC standards for electrical product manufacturing depending on the customer requirements and location. 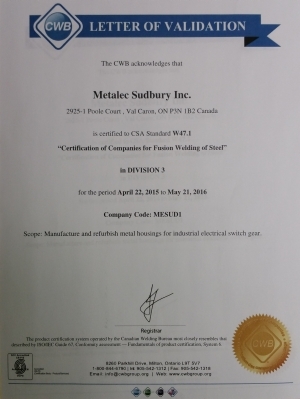 Every component that is used in a Metalec electrical system must meet this same high standard and bear the CSA signature of approval. 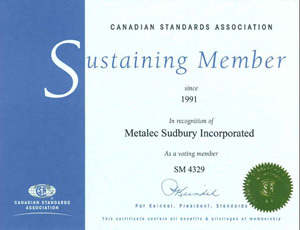 Metalec is qualified under the CSA W47.1, welding standards which ensures that the company's welding procedures covering all joints, processes and positions used in fabrication/erection are current and approved by the CWB, and that weld quality and workmanship are up to the levels specified by the design or product standard.